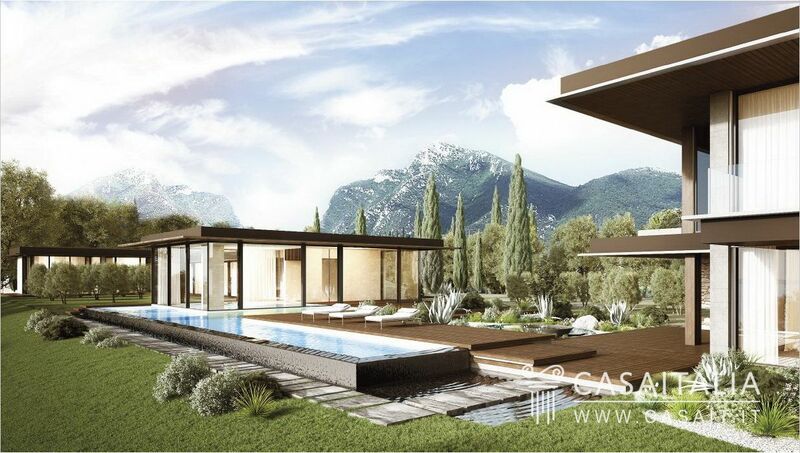 Lot in a panoramic location with view of Lake Garda, with over 1 ha of land and approved plans for building a luxury villa measuring over 1000 sq.m with private garden and infinity pool. 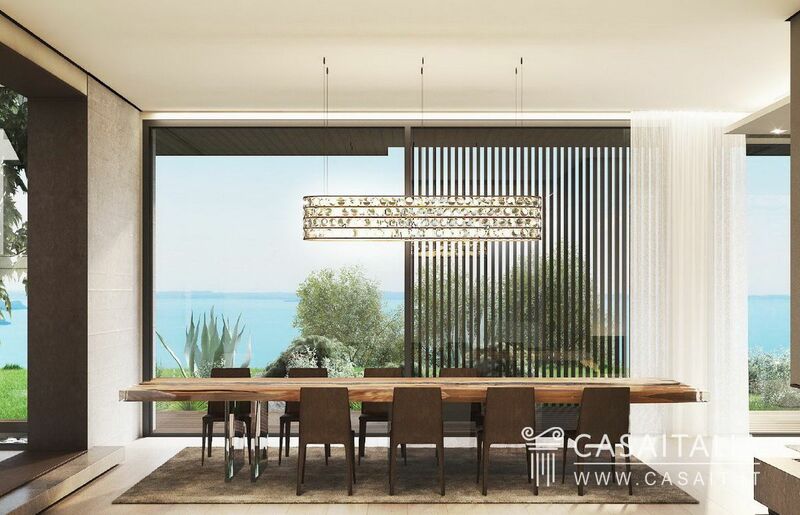 La Terrazza sul Garda is just above the town of Toscolano Maderno, a few minutes from the centre and the lakefront. 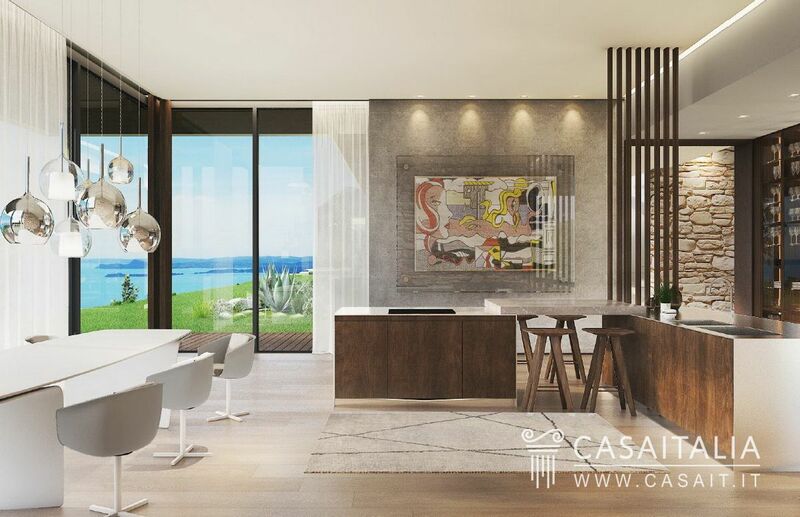 The location is fantastic, with the Bogliaco Golf Club just 2.5 km away and Gardone Riviera (7 km) and Salò (12 km), famous tourist areas, around 10 minutes’ drive away. 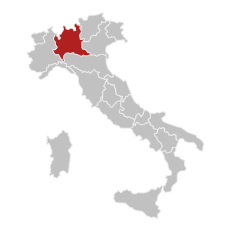 The city of Brescia (40 km), capital of the province, is less than an hour away, while Milan is less than two hours away (125 km). 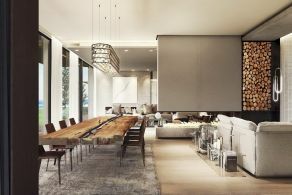 The nearest airports are Bergamo Orio al Serio (100 km) and Verona (85 km) around an hour away with connections throughout Europe. 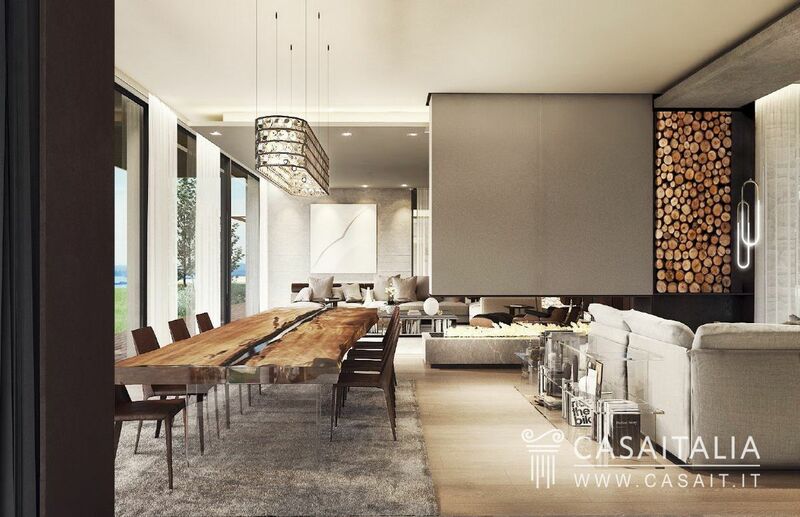 La Terrazza sul Garda gets its name from the location of the land, a flat lot with a 180° view of the lake, the west bank and Monte Baldo. 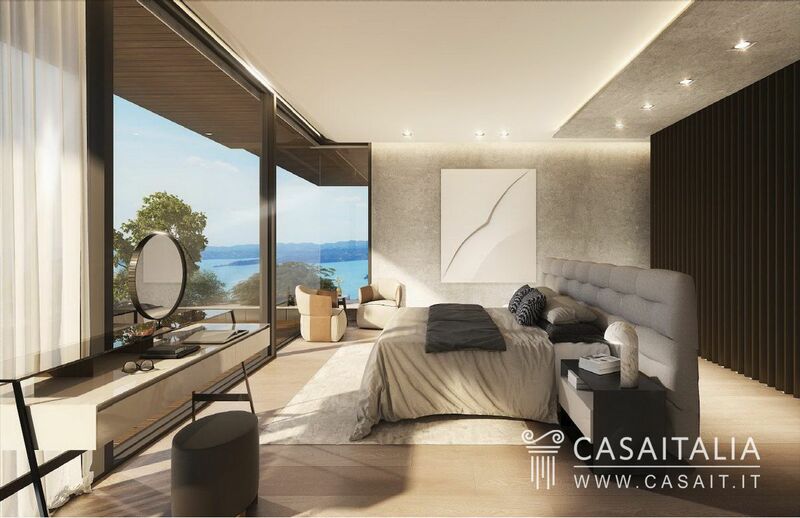 This is one of the prettiest locations on the whole of Lake Garda, and would allow the construction of a building measuring a maximum of 1143 sq.m. 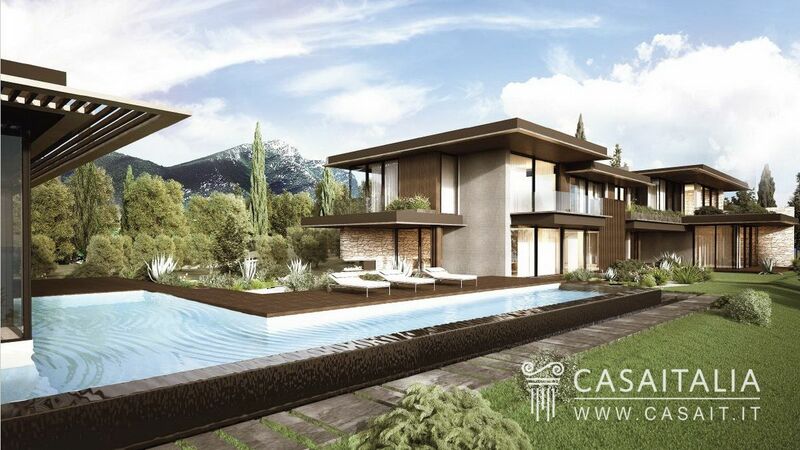 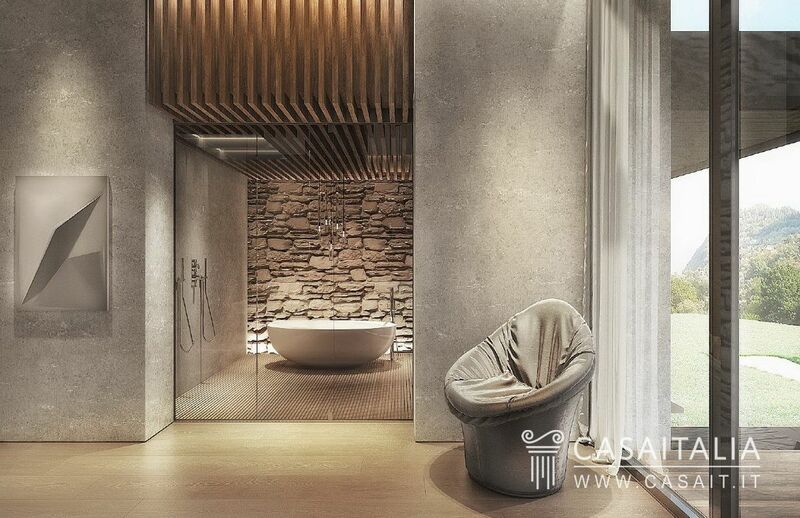 The current building plans, which have already been approved with all necessary permissions obtained, makes use of the whole construction area for the building of a fabulous villa with class A energy certification, or for a smaller building with some construction space left over. 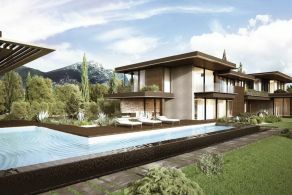 The proposed building has been designed in a contemporary style, using innovative materials and the most up to date construction standards. 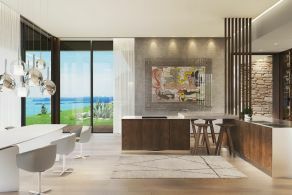 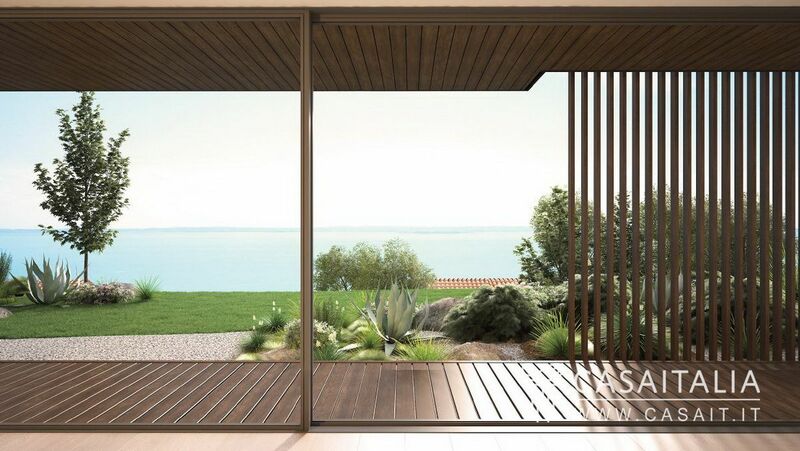 The large windows included in the plans make the most of the unique backdrop, and provide total privacy for enjoying the natural beauty of the landscape. 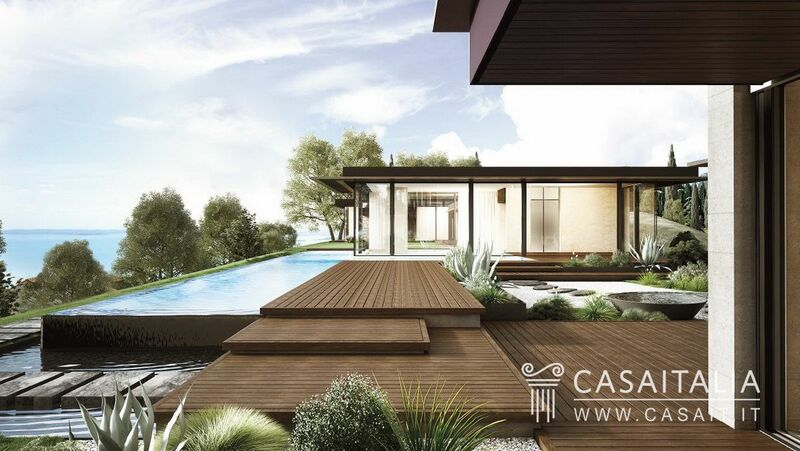 The land measures over 10000 sq.m and the plans for the villa propose an impressive use of this outdoor space, by building a large infinity pool, porticoes and patios for outdoor living spaces which would be usable for most of the year thanks to Garda’s microclimate. 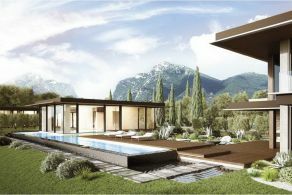 La Terrazza sul Garda is a unique lot with many different potential uses in addition to the one proposed: with the necessary changes it would be possible to build more than one house without damaging the remarkable local landscape. 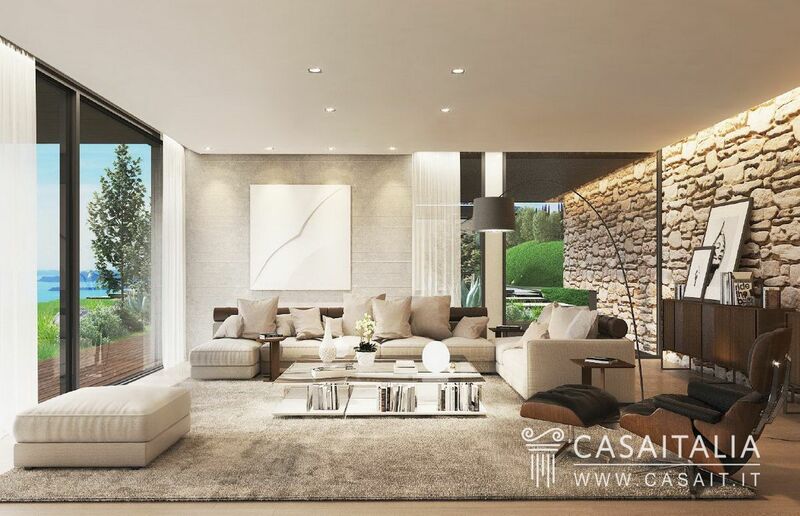 Period residence with apartments, garden and pool within a small village.